Need help with a simple machine? 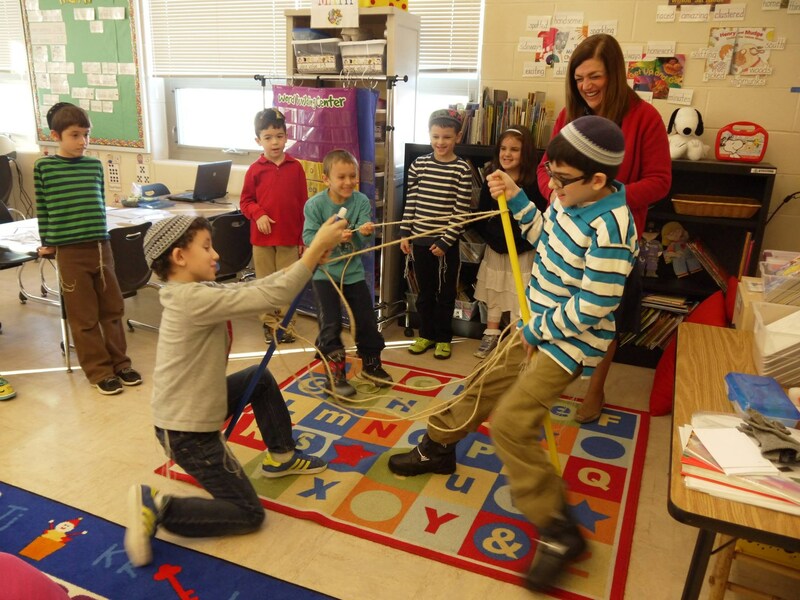 Ask a Mizrachi Lower School student! Our students know how Simple Machines make our work easier - what engineers call the Mechanical Advantage. 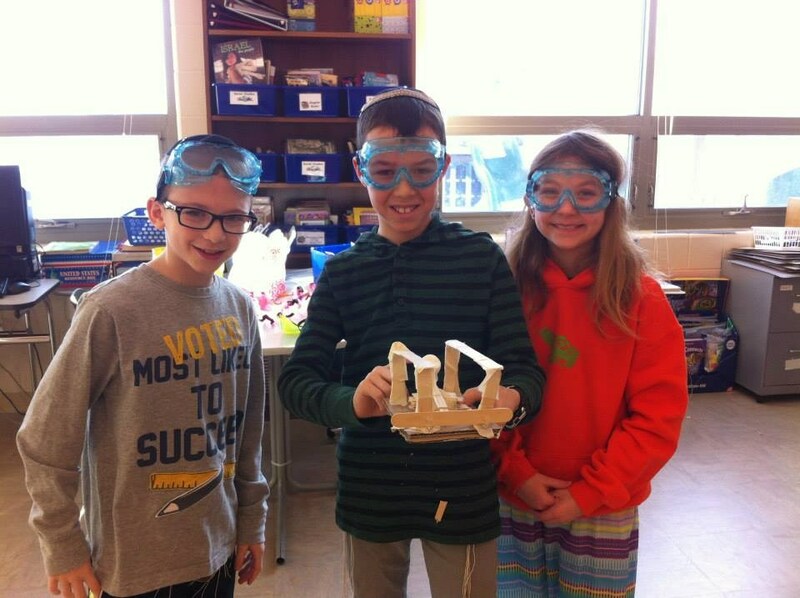 Weeks of working with Simple Machines culminated in Fuchs Mizrachi's STEM fair. 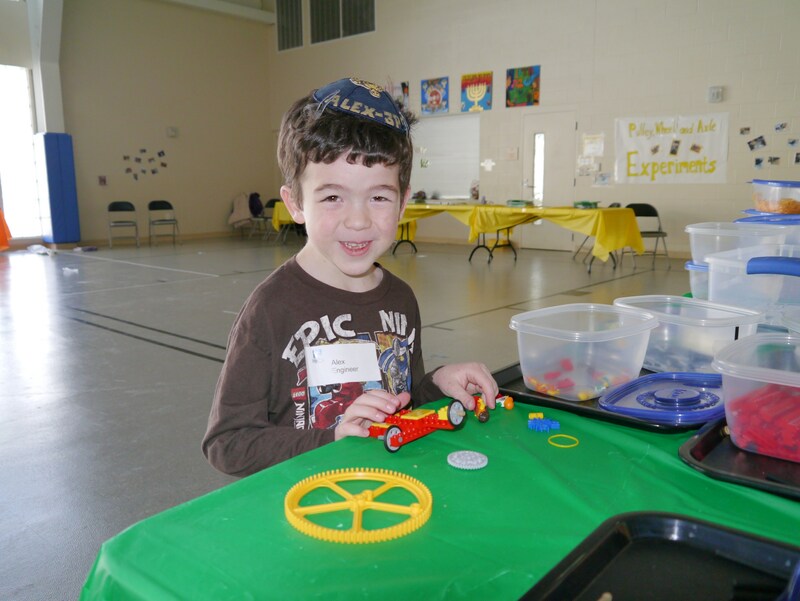 In the small gym, students performed mini experiments on levers, inclined planes and wedges, pulleys, wheels and axles, lego and K'nex and puzzle, board games and books. 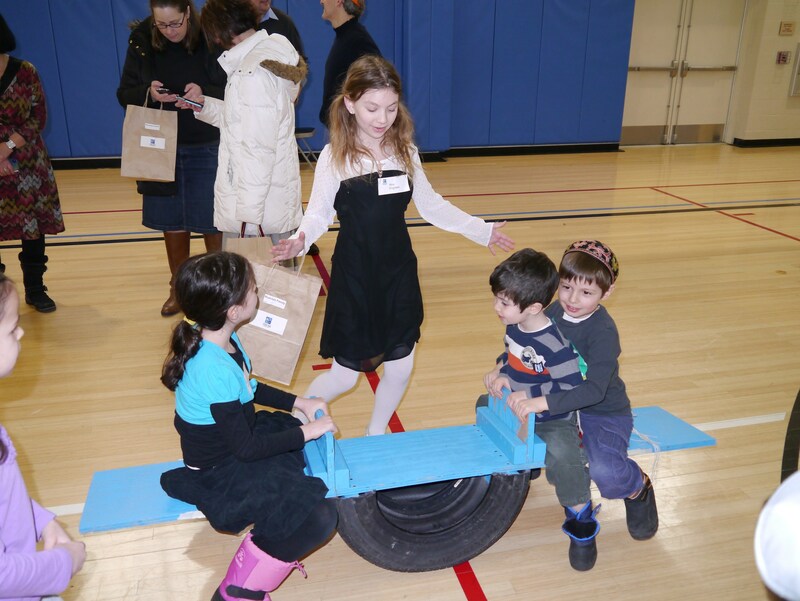 In the big gym, students assembled their own real-life big Simple Machines. The 1st graders made a see-saw, 2nd graders created a catapult, 3rd graders built a pulley system, 4th graders created an incline plane (slide), while 5th graders calculated the Mechanical Advantage for each machine. 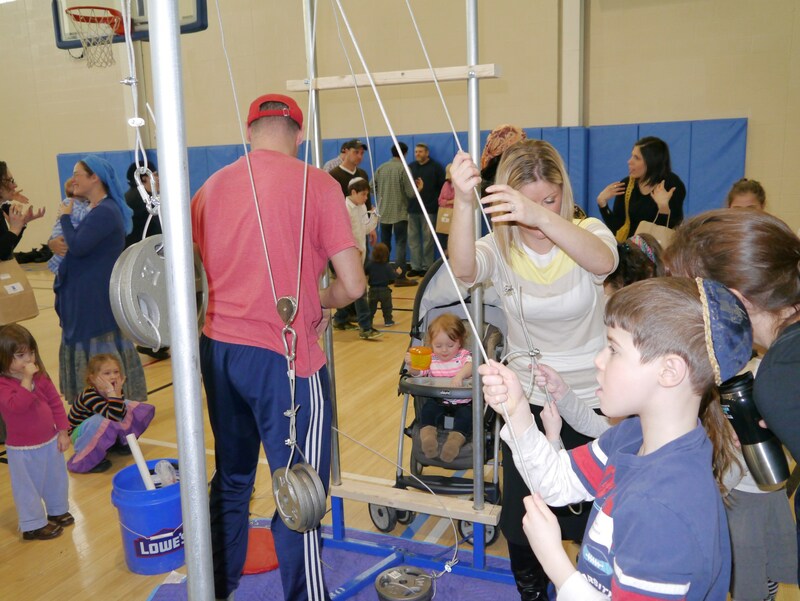 In addition to calculating the Mechanical Advantage, the 5th graders took on the leadership role during the fair, registering participants, escorting parents, and facilitating the experiments.